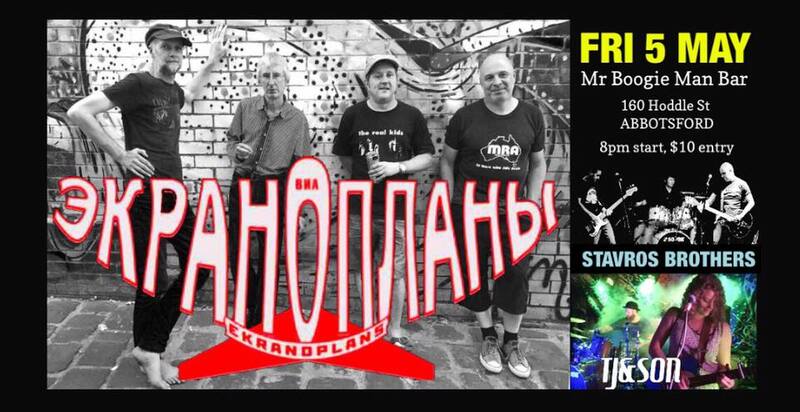 Ekranoplans is a vocal/instrumental group from Melbourne, Australia, started on 4 August 2016 by Aaron Goldberg, Sonke Rickertsen, Stefan Schutt and Simon Strong. 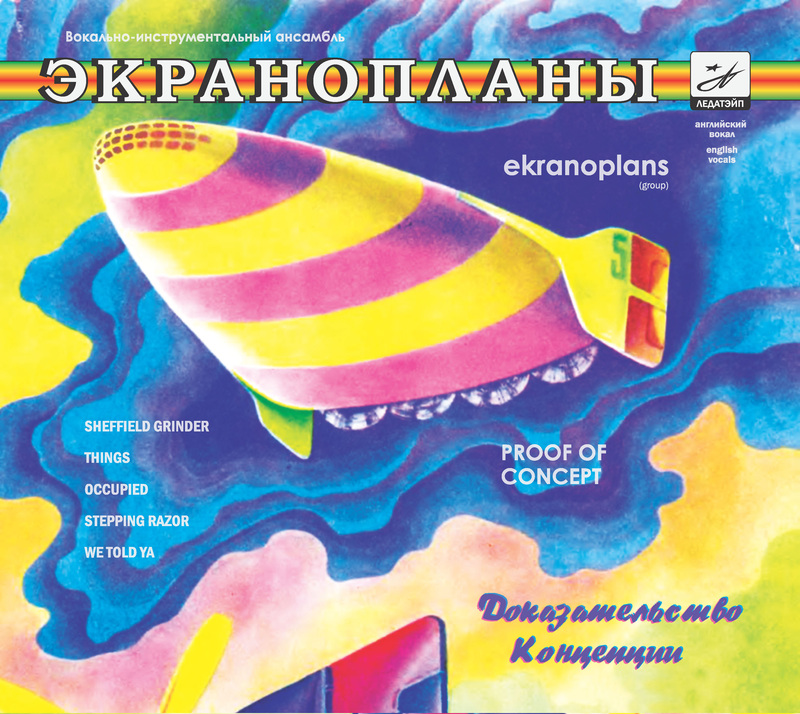 The first disc by Ekranoplans is now available via Bandcamp in physical and virtual versions. Five tunes going for almost half an hour, in a deluxe gatefold sleeve with notes in English and Russian. 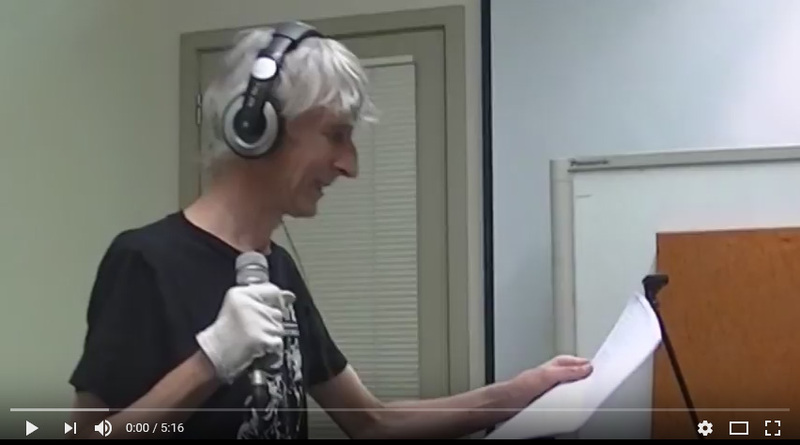 Recorded 7 March 2017 at 3CR (Fitzroy, Victoria) by Mike Smith for Let Your Freak Flag Fly. Introduced (and gatecrashed) by Dr Gonzo. Filmed by Paul Rodgers. Thanks heaps! 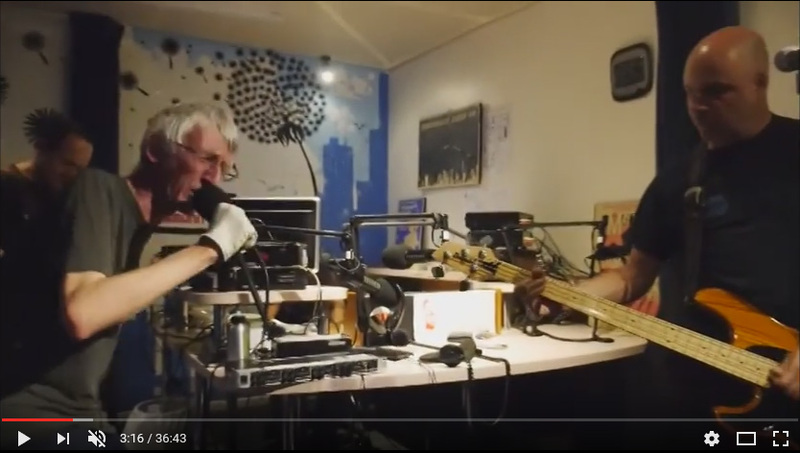 Community Radio is the life blood for Melbourne’s creative community and one of the reasons that Melbourne is such a great hub of musical and theatrical diversity. Over the years creative people have been drawn to our city after they realise there is a platform for them to have their music played and for them to talk about their artistry, that place is through the airwaves of community radio. One of those Community Radio stations 3cr was established in 1976 to provide a voice for those denied access to the mass media, particularly the working class, women, Indigenous people and the many community groups and community issues discriminated against in and by the mass media. Over 400 volunteer programmers present more than 120 programs that go to air each week. The station broadcasts in approximately 20 languages including English, 24 hours a day, 365 days a year. 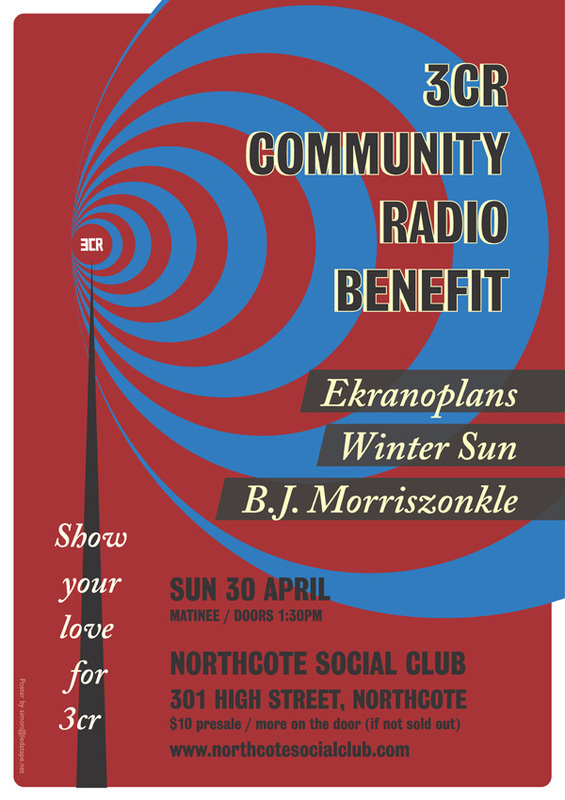 It’s always been a struggle financially for 3CR to pay the bills and continue to broadcast which is why 3 fabulous Melbourne bands are playing at the NSC to support 3CR and present an entertaining afternoon of music. 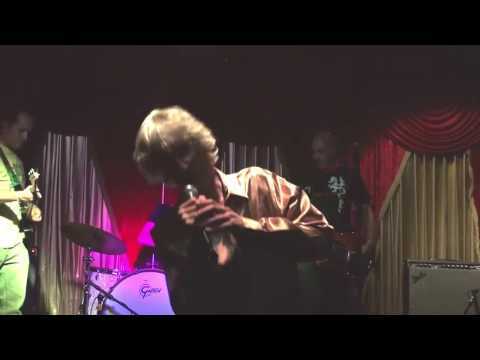 Bj Morriszonkle is a one man band, composer, weirdo, stoked father, songwriter and huge Columbo tv show fan. He sometimes makes some sort of cartoon music, sometimes depressed cowboy pop songs, sometimes junk that sounds like b-grade sci-fi movie music from the 50’s and sometimes trash / clown metal. It’s all over the top and exists completely in it’s own screwed up universe. Winter Sun are an eclectic Rock outfit. Expect space, dynamics, melody, harmonies. Sets are a hypnotic roller coaster ride. The songs have dark and twisted lyrics and swing from dirty arse blues to bitter-sweet ballads. Soon to release their album ‘Black Lips, Dead Trees’ on Spooky Records, watch out for the single/clip ‘Deadly Nightshade’. Please show your love towards Community Radio and join us for this not to be missed show. Ekranoplans first show: FULL VIDEO! HARASHO! Ekranoplan debut bushkanyetz! Rock n roll, new wave, psychedliya! Yarra Hotel, Abbotsford, Victoria, Australia, Sol 3. Filmed by Richard Raber. We owe ya big time mate. Also a massive shout out to Mark Monnone and all his pals that set up the banging show.